Tissue cells produce carbon dioxide (CO2) when nutrient molecules, like glucose, undergo cellular respiration. 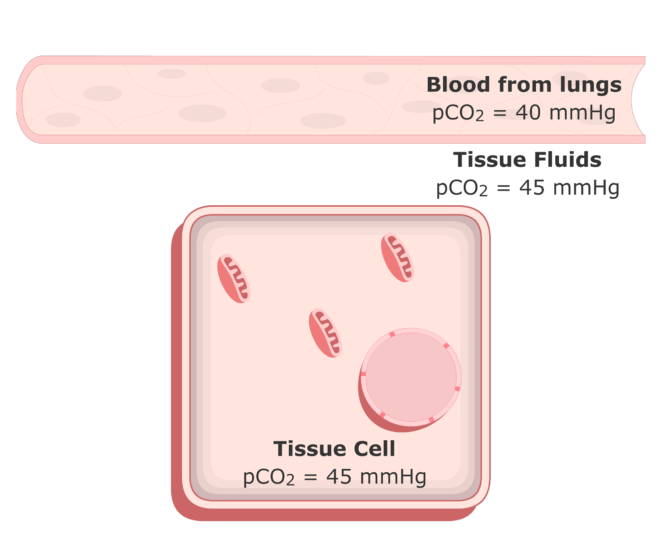 Tissue cells producing carbon dioxide through cellular respiration. CO2 production by citric acid cycle. 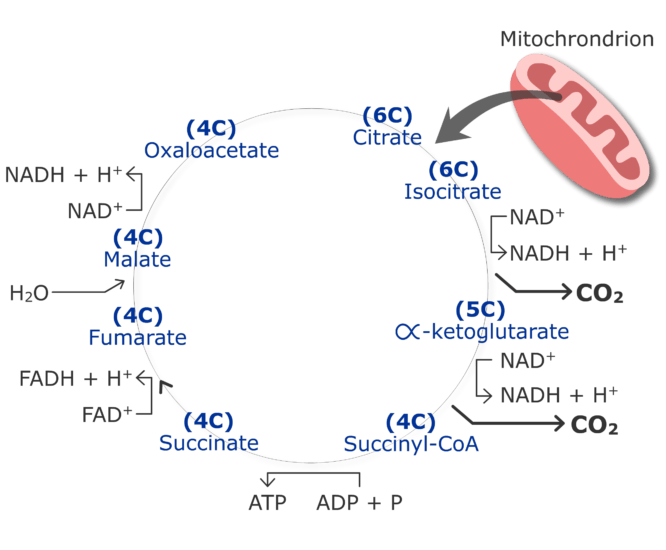 During the process, adenosine triphosphate (ATP) is formed in the mitochondria from the energy in the nutrients. CO2 and H2O are also created. 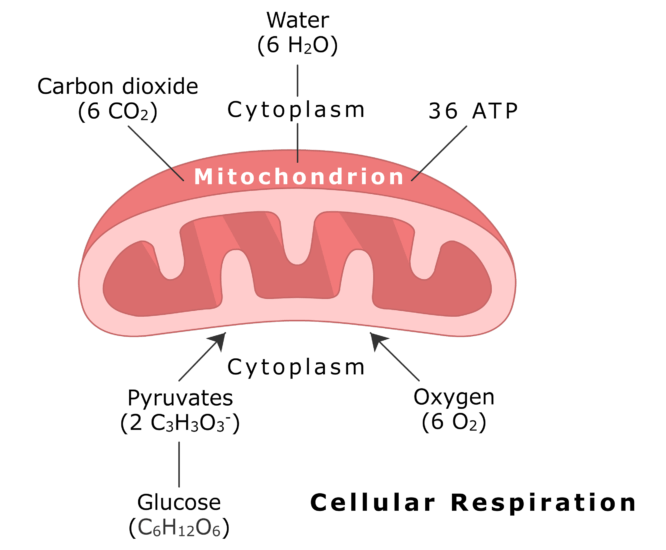 All three products enter the cytoplasm, where the H2O is used as a solvent and the energy in the ATP drives chemical reactions. The CO2 is a waste product and must be removed. As the CO2 accumulates, it causes the partial pressure of CO2 (pCO2) in the tissue fluids to rise to about 45 mmHg. 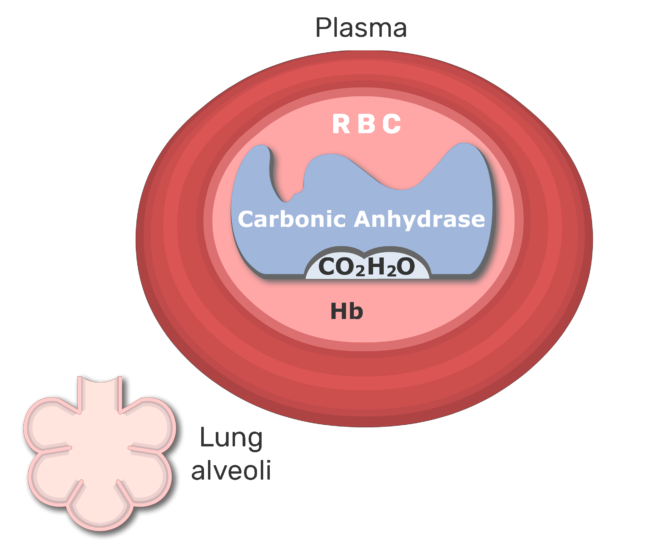 The pCO2 in the blood plasma coming from the lungs is about 40mmHg. The pressure gradient causes the CO2 to move into the plasma from the tissue fluids, where it is then transported to the lungs by three mechanisms. CO2 moving into the plasma from the tissue fluids. Because CO2 is more water soluble than O2, about 5-7% of the CO2 dissolves directly in the water that makes up most of the plasma. Another 20-30% binds to amino acids in the bloodstream, primarily those forming hemoglobin. The majority (~70%) of the CO2 that enters the tissue capillaries is converted to bicarbonate ions (HCO3-) and H+. 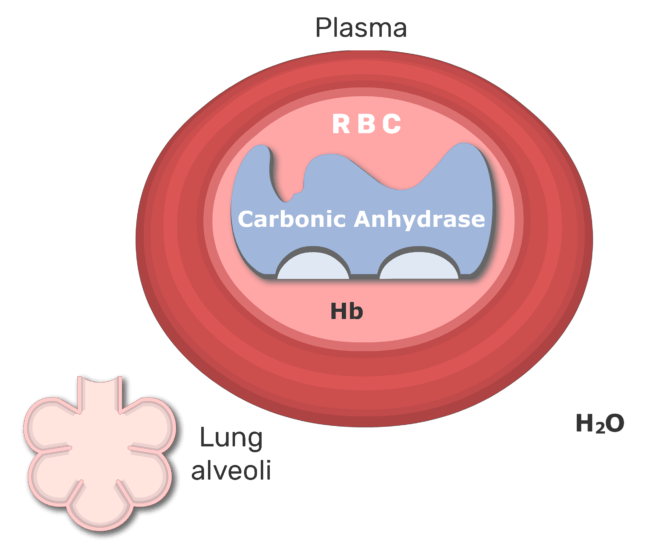 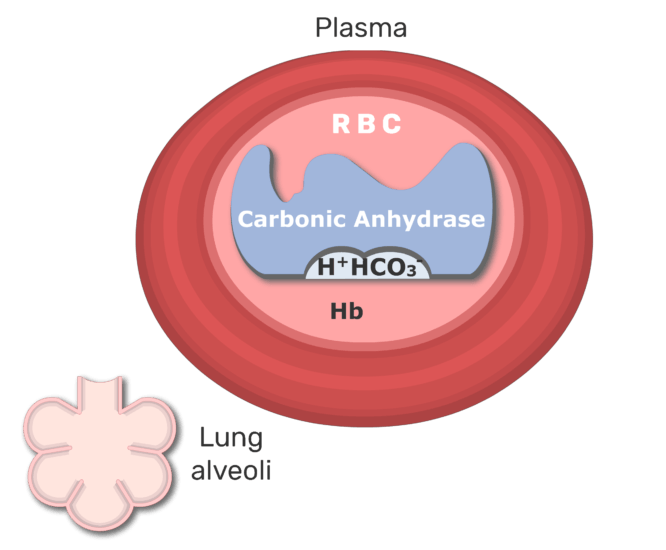 The reaction takes place in the RBCs and is catalyzed by carbonic anhydrase (C.A.) 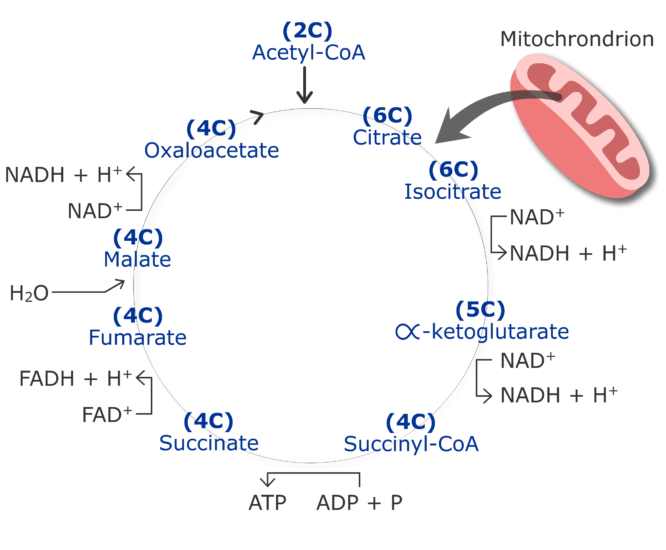 enzymes. CO2 being converted into bicarbonate ions in an RBC. Once made, the H+ ions bond with hemoglobin and the water-soluble HCO3- ions enter the plasma. 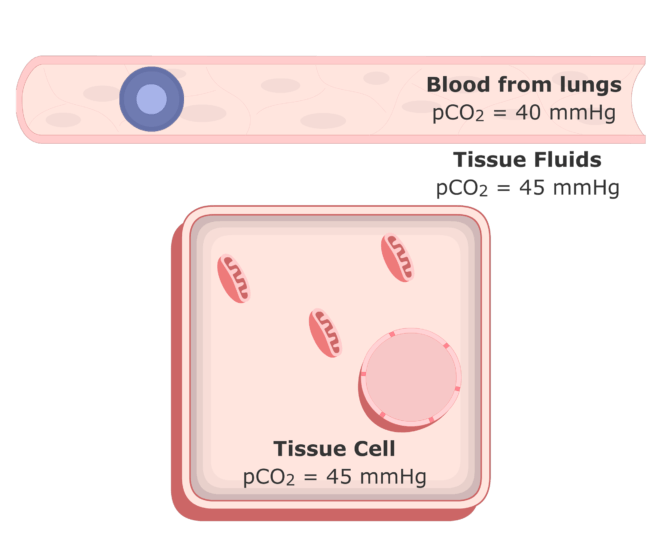 In the lungs the reaction reverses. The low concentration of CO2 causes HCO3- ions to move back into the RBCs where they recombine with H2O to form carbonic acid. HCO3- ions moving back into an RBC and recombining with H20 to form carbonic acid. Carbonic anhydrase (C.A.) catalyzes the conversion of carbonic acid back to H2O and CO2. The newly formed CO2 molecules diffuse out of the RBCs and are exhaled. The white blood cell differential test is used to determine the percentage of each type of WBC in blood. 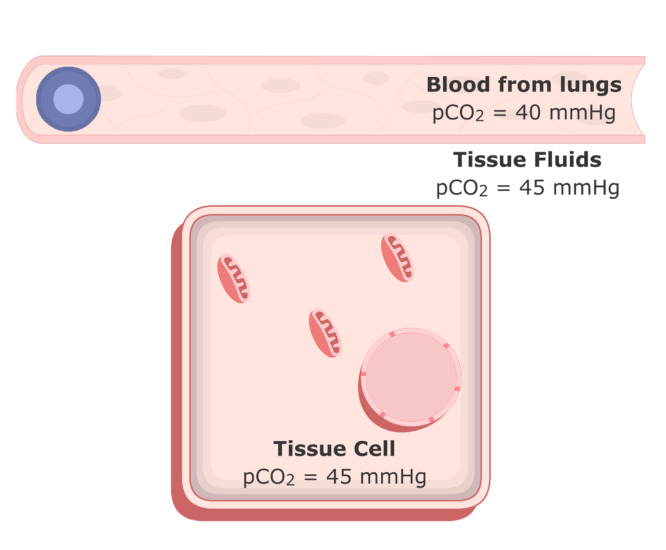 Review the procedures in this interactive tutorial. 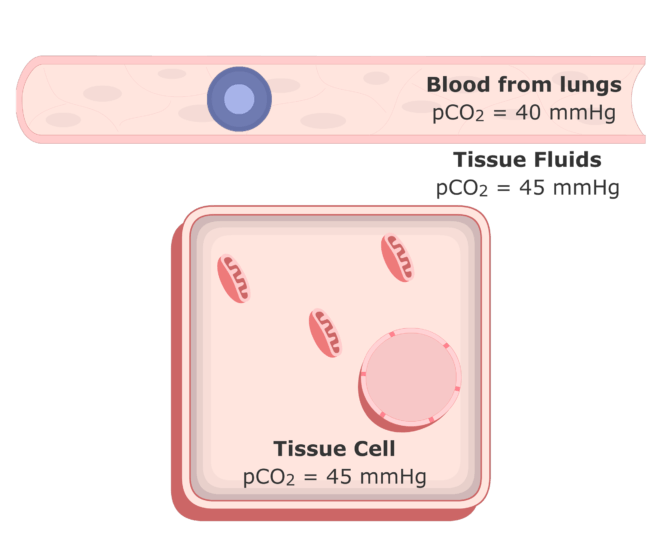 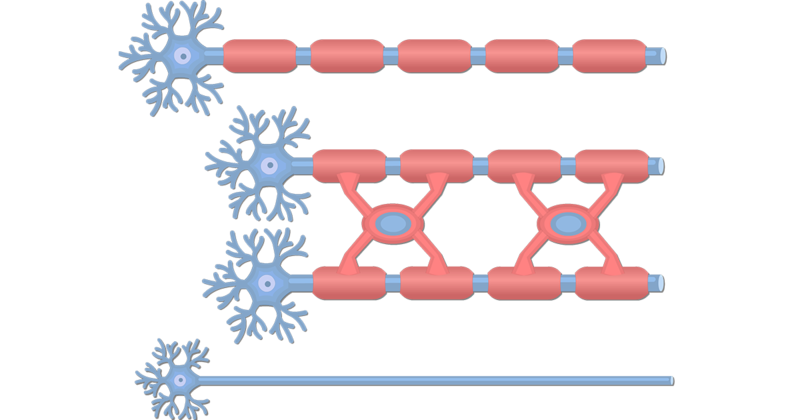 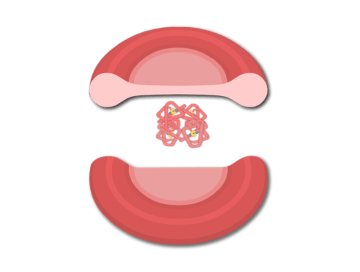 Review the composition of hemoglobin molecules as well as the circulation, and transportation of oxygen in the blood stream in this interactive tutorial. 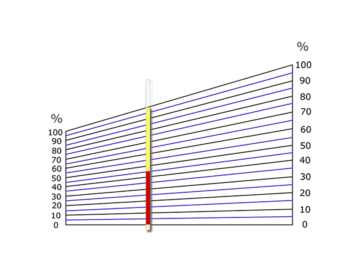 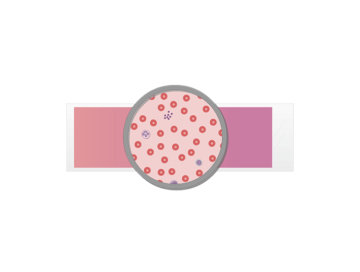 The hematocrit test is used to determine the percentage of red blood cells in whole blood. 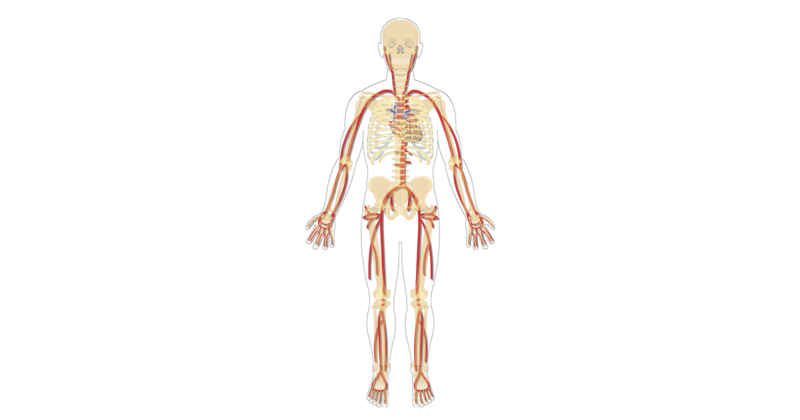 Review the procedures of the test and learn why it is performed.